descriptionFeatures cradle style sling and swathe with contact closure. 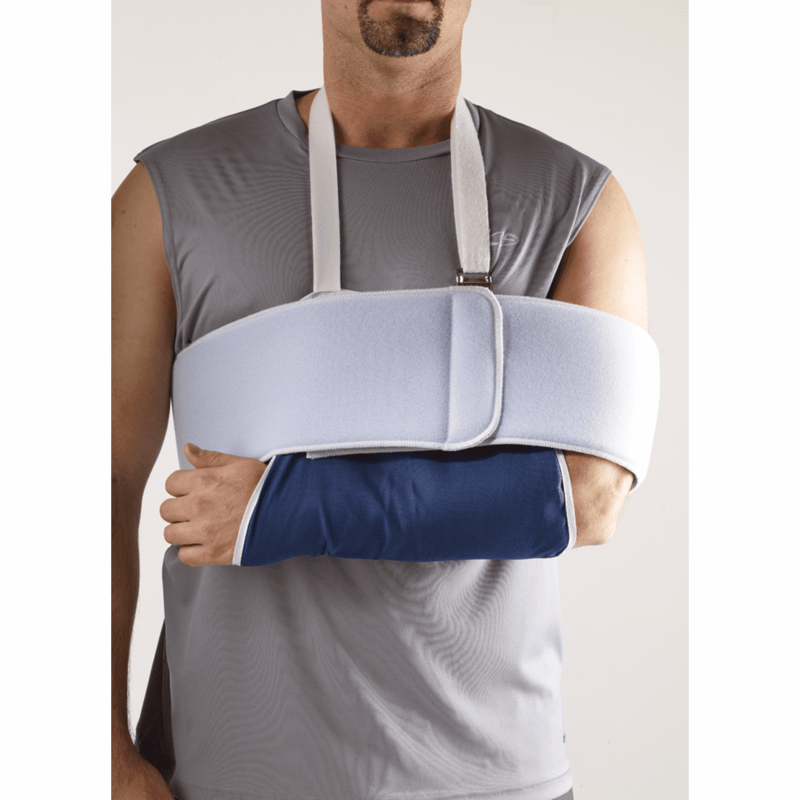 Indicated for immobilization following rotator cuff repairs, S/P glenohumeral acromoplasty surgery, or other shoulder related injuries. Manufactured from seamless durable material. Sizing: S - Sling pouch 9"-10" & Chest circumference 24"-36" M - Sling pouch 13"-10" & Chest circumference30"-42" L - Sling pouch 16"-11" & Chest circumference 36"-48" XL - Sling pouch 19"-12" & Chest circumference 42"-54"